If you’re like me, you probably spent countless hours in computer class playing the original Trials flash games. RedLynx had taken an incredibly simple idea and added a polish to it that we hadn’t really seen in the genre. 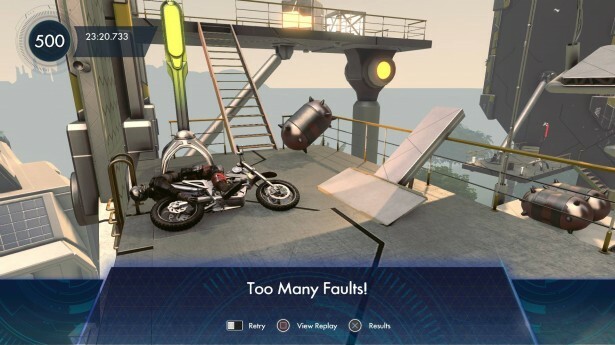 Flash forward to the release of Trials HD in 2009. The game received critical praise and a steady fan-base because of their perfection of the concept and successful attempt at bringing it to a home console. After HD and Evolution, fans expected another game would appear on the horizon. Cue Trials Fusion, an absolutely fantastic culmination of all of the ideas presented in previous titles, with a nice new paint job to boot. Trials Fusion, like its predecessors, appears to be quite the shallow game at first glance. You play as an unnamed test subject as he attempts to make his way through each course, designed by some ambiguous corporation for reasons unknown. The entirety of the game has you driving left to right, and contains only a few basic control options. You hold R2 to accelerate, L2 to brake, and the left thumbstick to lean forward or backward. Pressing triangle allows you to bail, essentially committing suicide, but beyond comedic value, it doesn’t really have much purpose. You do eventually unlock the ability to pull off stunts by holding the right thumbstick in certain directions, adding another level of depth for those who seek it. The idea that the game is controlled with such limits makes it appear to be nothing but an ‘Excitebike HD’ of sorts. This couldn’t be further from the truth however. While you are restricted by these concepts, the real depth comes into play when you factor in the obstacles you must overcome, the physics you must master, and the absolutely devilish design of the courses. RedLynx has shown that they have conquered the art of level design, as each stage is more interesting and challenging than the last. They help keep things fresh by adding in locales that contrast each other aesthetically, and courses feel unique because of the changes of pace so frequently offered. 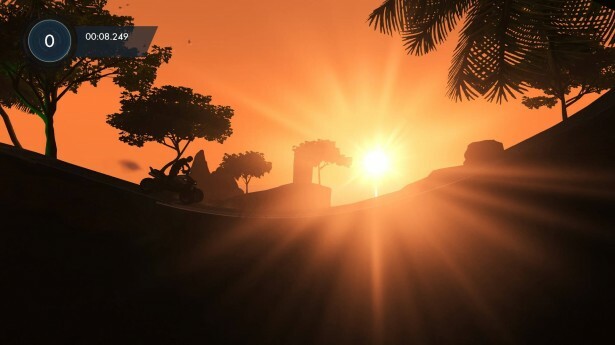 One level will have you on an ATV as you fly over sand dunes, while another might have you in a factory that constructs the paths as you drive over them. Ideas like this keep things interesting, and there is never a sudden change in difficulty. The learning curve for the levels is almost flawlessly balanced, and courses contain enough checkpoints to make anyone, veteran or newcomer, capable of toppling even the most challenging of obstacles. That said, RedLynx locked the harder stages behind medal requirements, so every player, good or bad, must start improving their scores and collecting medals if they wish to progress beyond the normal tracks. It is a smart move as it forces people to improve their skills, and in the end, makes the reward of completing the harder levels all the more satisfying. 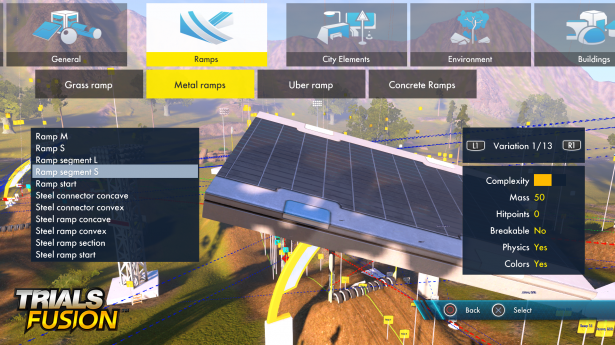 In Trials Fusion, each stage has a total of four obtainable medals. Simply completing a stage nets you a Bronze medal, but to get Silver, Gold, and Platinum, you must fulfil time requirements and complete perfect runs. It sounds easy enough, but the stages are designed in such a way that every tiny jump can mean success or failure if you are even remotely off on your speed, jump, angle, or timing. The levels ramp up to an almost impossible degree, and I found myself struggling to get past singular parts of a stage, based on the fact that RedLynx demands perfect execution on the ‘Expert’ and ‘Master’ tiers. The game never feels unfair however. It never feels as if they’re trying to deceive you with flawed design. Every obstacle and checkpoint is deliberately and carefully placed so that you will always have a fair chance, granted you learn the mechanics. It’s also extremely useful that they’ve allowed you to watch friend’s replays, as I found myself learning a lot from players with a higher skill ceiling than myself on particularly cruel areas. If you manage to overcome all of the metaphorical obstacles RedLynx has thrown at you, know that your journey is far from over. Beyond completing the 53 stages, each stage comes with a set of three optional objectives. They range from finding hidden paths, running over flowers, doing tricks in specific orders and other obscure actions. It adds an entire layer of depth for the completionists, and adds to the overall replay value. They’ve also included several items for customization that give you a bit more control over your character and his vehicle of choice. Though the offerings are quite slim, it’s nice that you can give your favourite bike a different colour scheme, or dress up your character as you please. Beyond the single-player offering, Trials Fusion comes with a very robust track editor in the vein of LittleBigPlanet. You are given a set of tools that allow you to place objects, customize the weather conditions, the location of the sun, the time of day, and essentially any small tweaks you could think of. You can even change the geography to your liking, and as far as I can tell, there aren’t many drawbacks to the system in place. Upon completion, you can share and upload your tracks to the online servers, and as expected, browse through community creations and nominated favourites. It truly makes an already replay-heavy game endlessly entertaining. 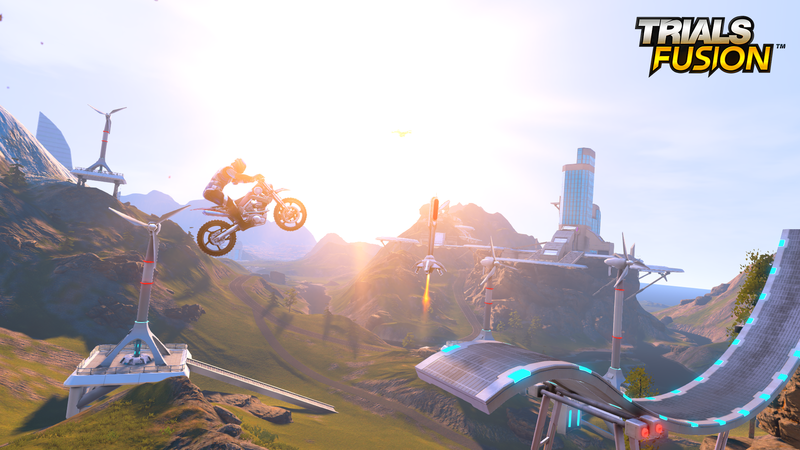 The one major disappointment I have with Trials Fusion is that they do not offer a competitive online feature. Trials is designed in such a way that it almost feels criminal to not have one, though to my knowledge, they have something planned. To counteract this issue, Redlynx has given players the option of playing with their friends via couch multiplayer. While it is definitely welcomed, especially in a generation focused entirely on online features, it would be nice to have a proper system in place for those who want to play with their online friends or compete against the best of the best. 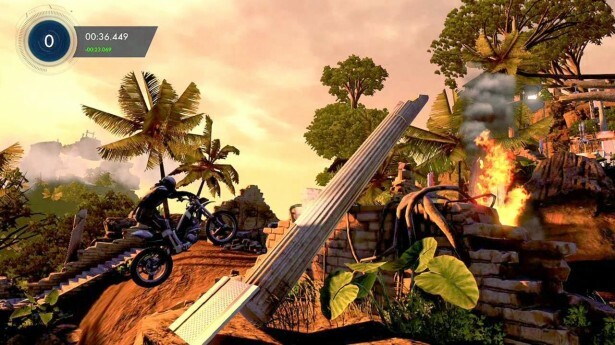 Trials Fusion offers nearly endless replay value, a plethora of tracks to play all with their own objectives, leaderboards to conquer, and a track editor that is bound to keep you occupied for months to come. Trials Fusion is, in my opinion, RedLynx’s biggest achievement to date. If you appreciate tight game design or are a glutton for punishment, it behooves you to take a chance with Trials Fusion.